I purchased this, thinking that I had finally found something breathable and comfortable. I was wrong. I grabbed it out of the bag and was displeased to see that the underside was that scrunchy polyester waterproofing material. I was determined that it wouldn't be an issue, so I decided to try it anyways. I put it on the mattress and it ripped (I wasn't being forceful either!) on one side, not even near the corner where I was pulling to fit. I thought, oh well, I will still try and see how it sleeps and possibly order another one in place of this defective one. It was comfortable, I'll give it that, but my partner complained that he still sweated in the night (which has been a major issue, and is the reason I have been searching for a new mattress topper). I do not sleep hot, but I noticed that each time I would turn over, it felt as if I was rolling off a slightly sticky/ slightly damp surface. We have 100% cotton sheets and I had never felt that before. I immediately requested a return, and I will return to 100% cotton mattress topper - I don't care about waterproofing, we don't need it, I'll save that for the guest bedroom. Home territory searches the web to find the best prices and availability on Mattress Protectors and related products foir your home like Sealy Posturepedic Cotton Washable Memory Foam Fitted Mattress Protector. For this page, related items include products we find that match the following keywords: "Mattress Protector" at our vendor partner Walmart - Click More Info / Buy Now to check for price rollbacks!. 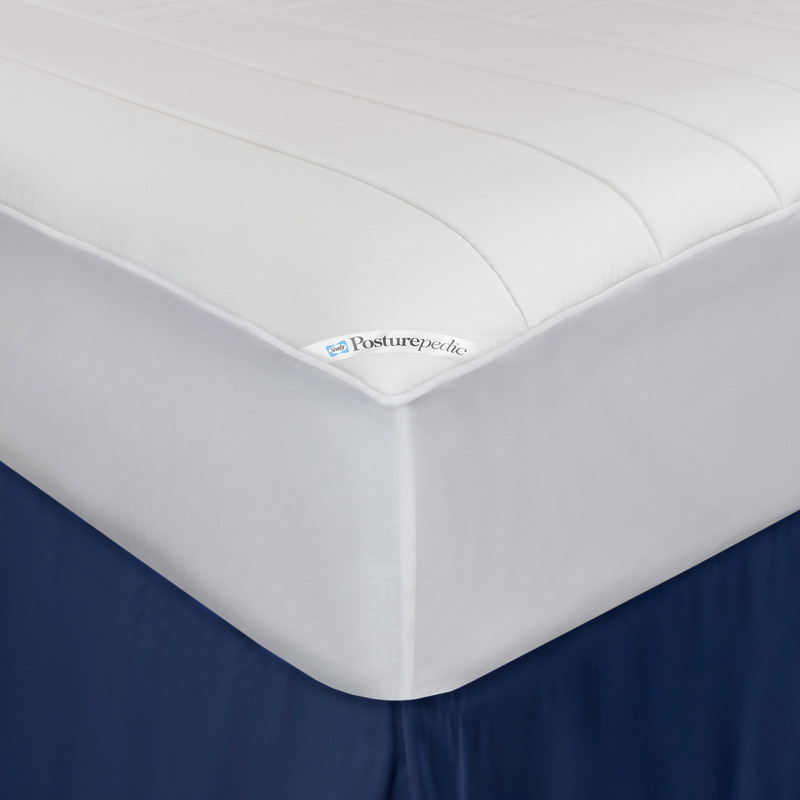 Sealy Posturepedic Cotton Washable Memory Foam Fitted Mattress Protector is one of 83 Mattress Protectors and related products available for sale through HomeTerritory.com, If you have any questions on this product, please give us a call at 734-971-1210 during the hours of 9am - 5pm EST for assistance. Thank you for shopping at Home Territory, the home furnishings superstore!